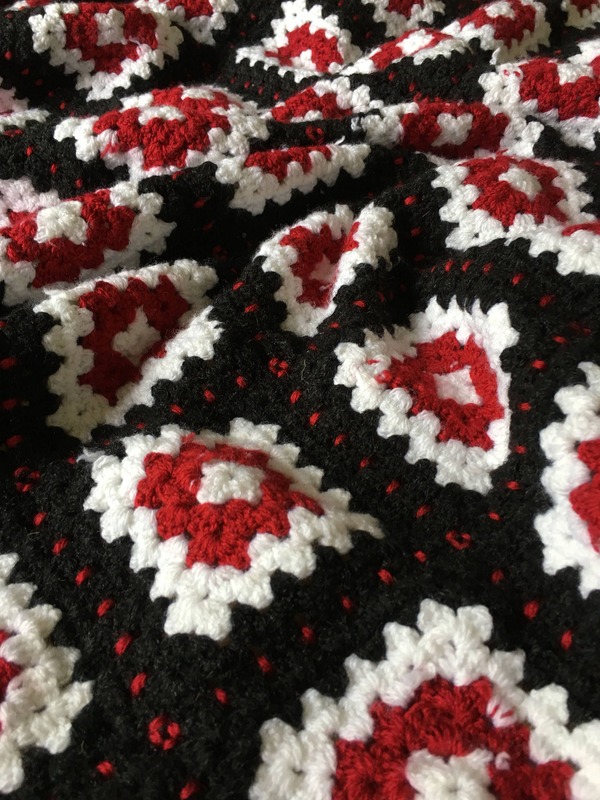 Gorgeous traditional Swedish crochet blanket hand made in pure wool. 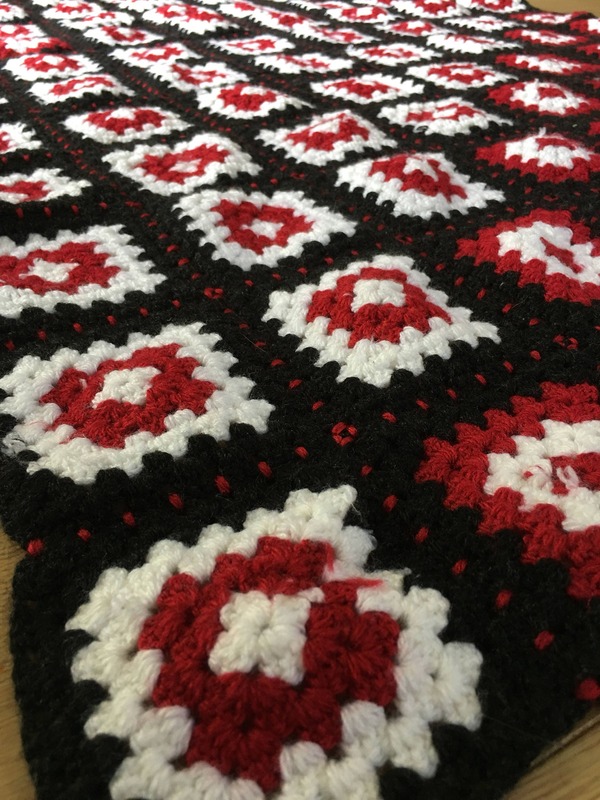 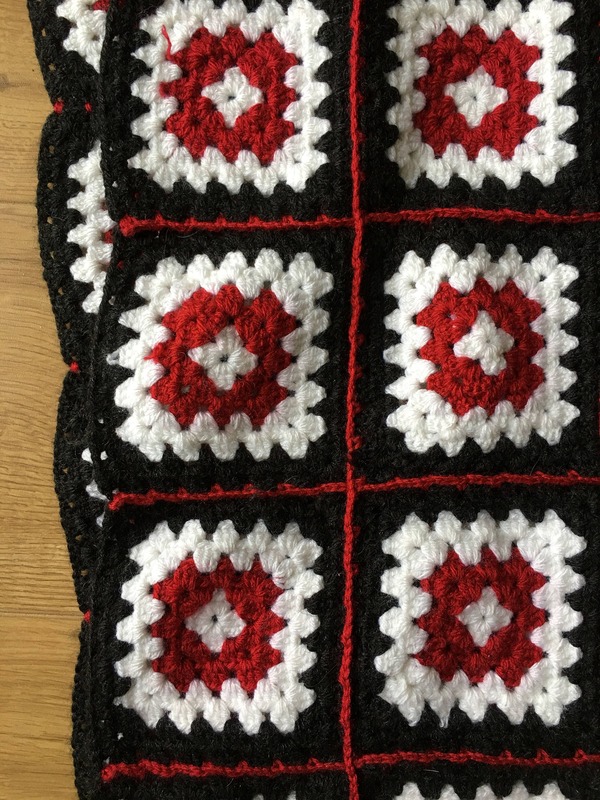 The pattern is called Granny Squares and is an old style country pattern. 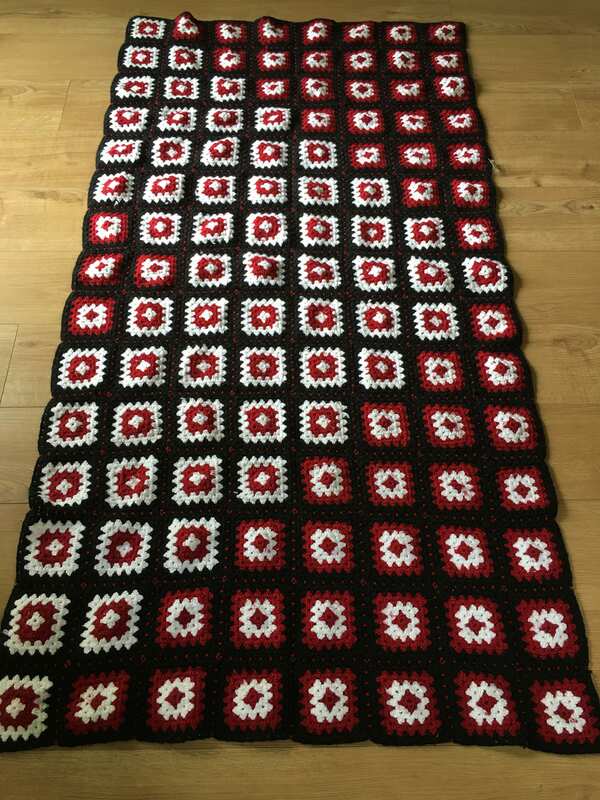 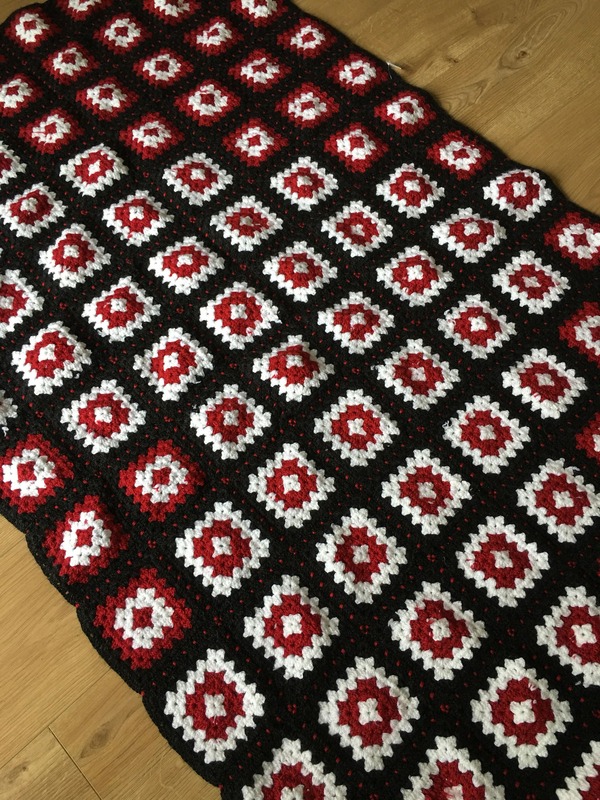 Beautifully made in red, white and black wool.